We (I) have too much stuff. 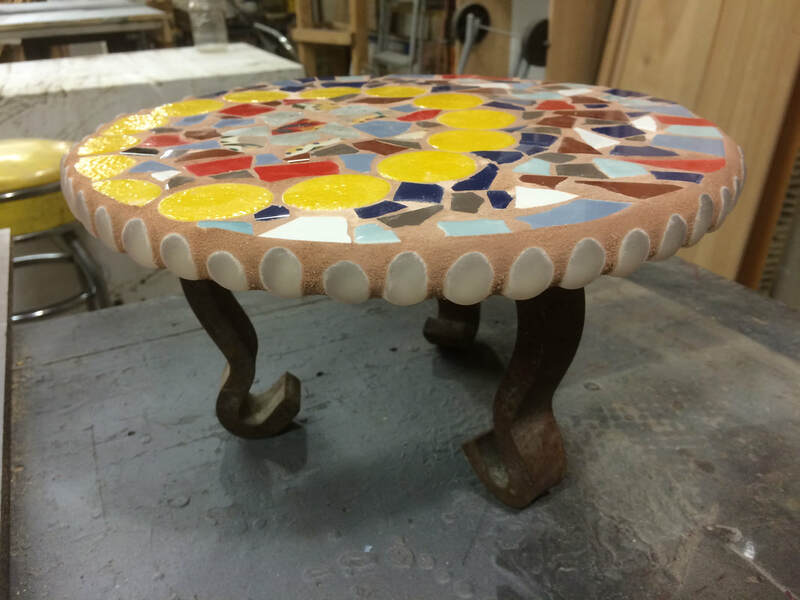 Most stuff does not need to be thrown away; a lot can be recycled, re-used, or re-purposed. Thus, I create art with stuff. The unique colors and shapes of my stuff (what I call ‘bling’) inspire and delight me. 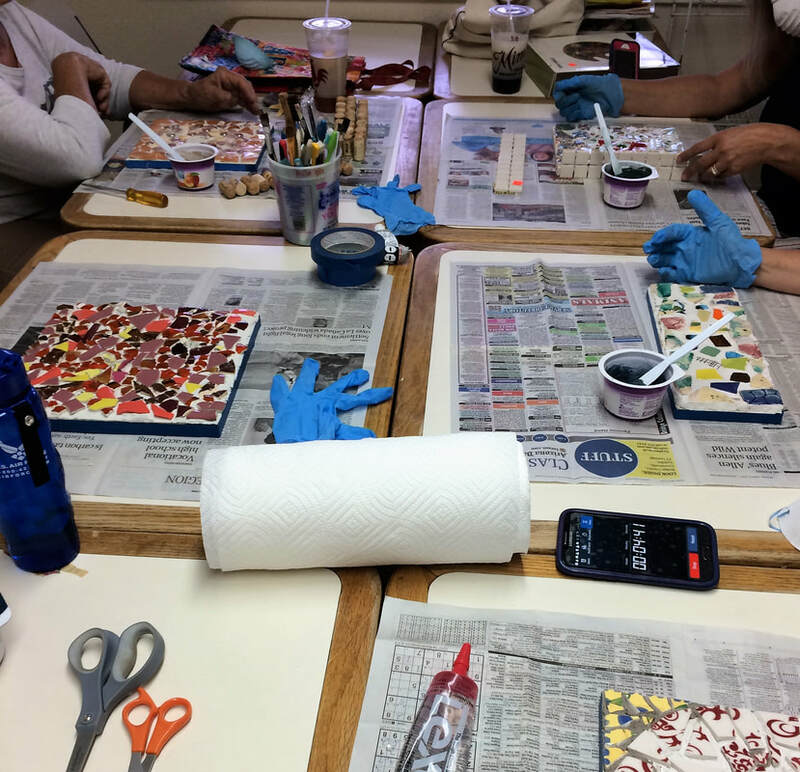 My goal is to inspire and delight others with my mosaics while proposing that we can all "be more with less." 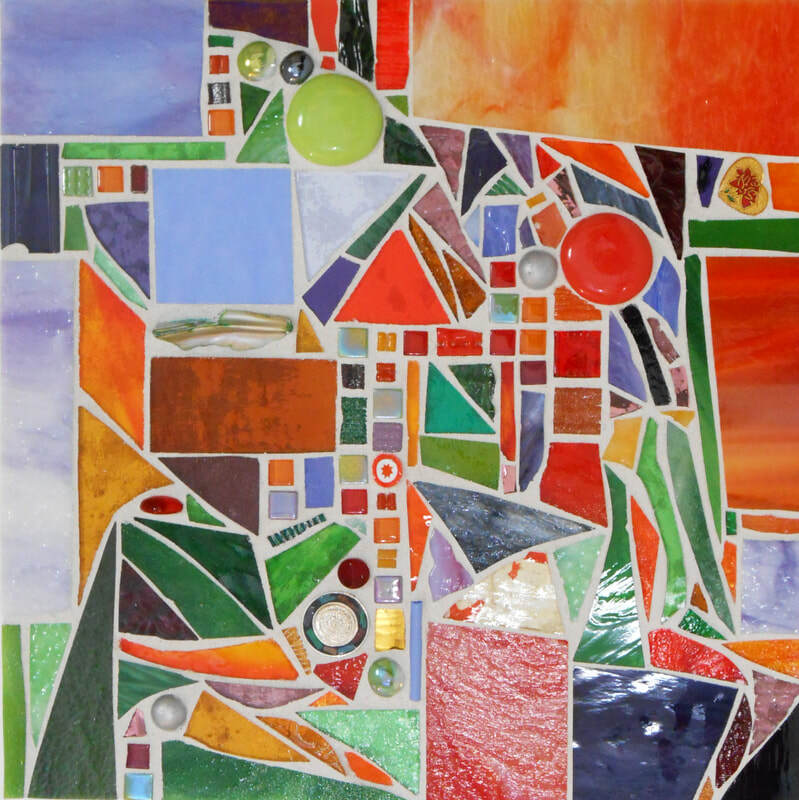 The styles below represent the types of mosaics I have created with recycled, reclaimed, and re-purposed materials. This method was popularized in the U.S. by Laura Skye. I took a class from one of her students while I lived in Washington, DC and loved it. 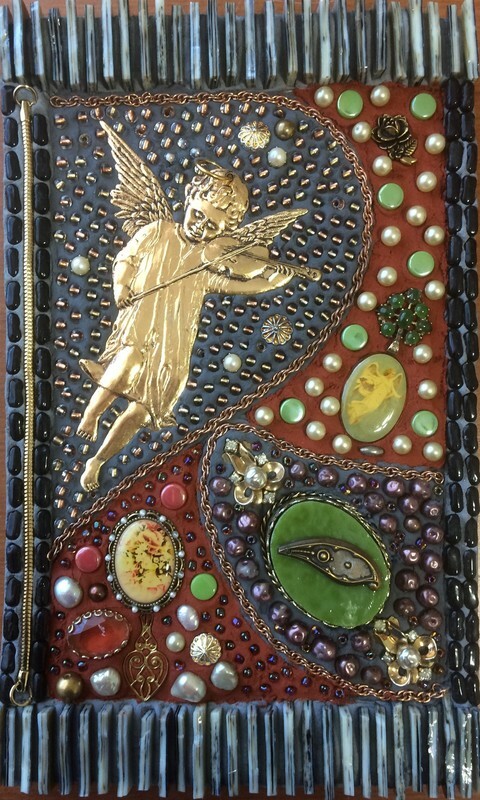 However, my twist is that instead of using gems, crystals, and other valuable materials, I primarily use broken jewelry, found items, metal scraps, and other types of discarded bling to create my mosaics. The original style has fringe on the top and bottom (to look like a tapestry) and I have created many mosaics in that style. However, I've found that I can also create unique scenes without the fringe, and the final work is easier to frame. I hope you enjoy these - to me, they are addictive. 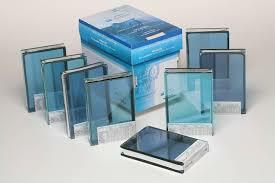 You would not believe how much beautiful, strong glass is thrown away. I discovered that, after they are done using them or they are out of style, architectural and design firms discard their heavy duty glass samples. 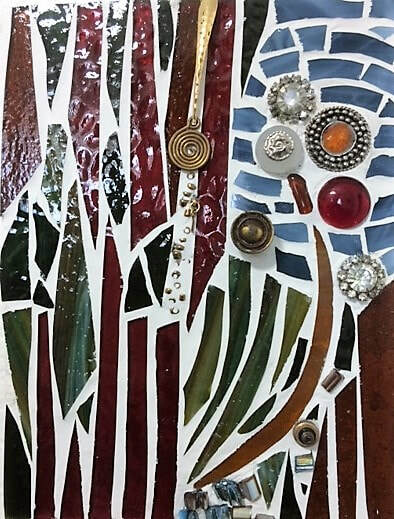 So, I started creating mosaics on these discarded samples, using discarded stained glass pieces, metal bling, and other found items as tesserae. Most of these finished pieces set on tripods so they can be placed in front of a light or on a shelf by a window to catch the light. The majority of my mosaics are done on wood, using the direct or indirect methods (versus the tapestry method). Most of the wood is reclaimed, but not always. 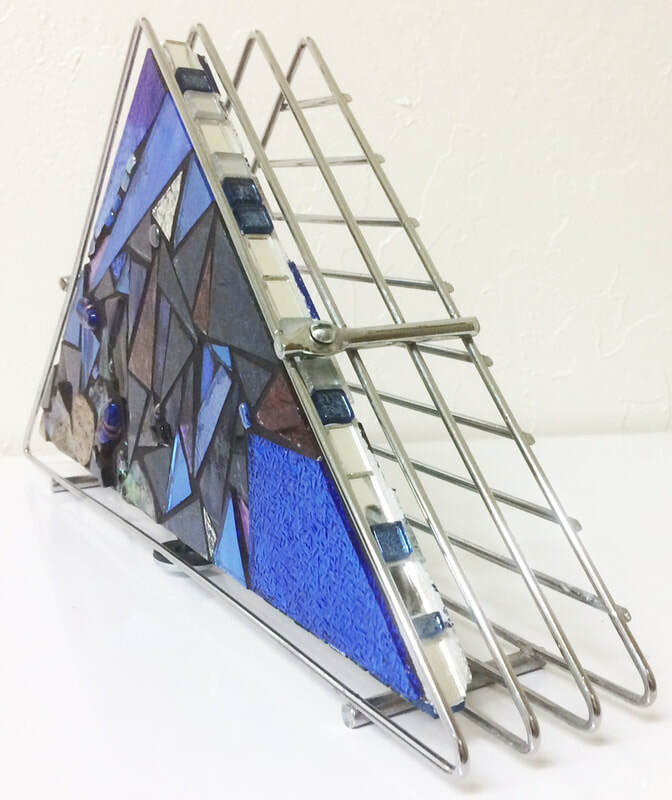 However, I do still use discarded stained glass (the scraps that are too small for professionals to use) and other found and reclaimed materials to create these designs. 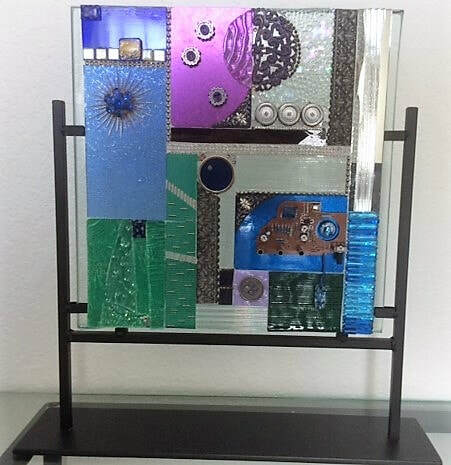 I also like to mount these mosaics onto unusual items or materials, like aluminum, instead of framing them. More character! 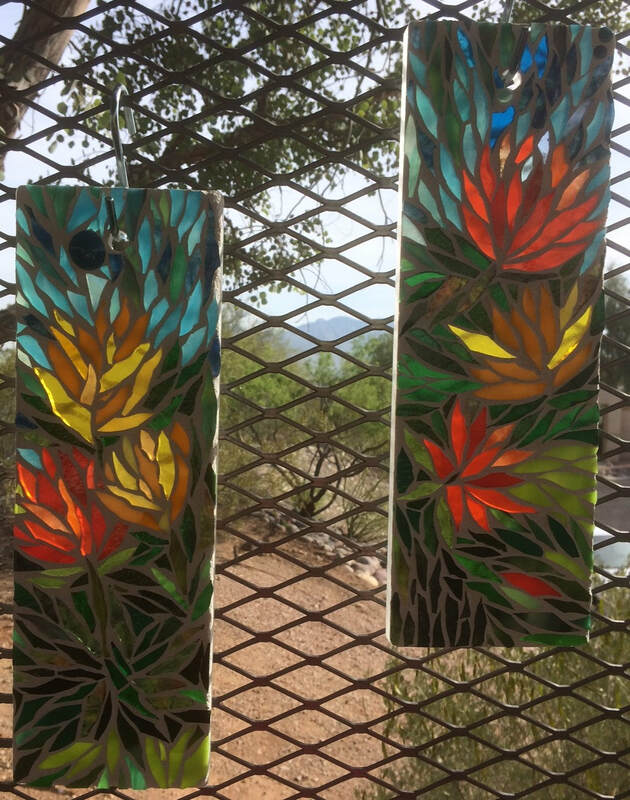 If you can't hang a mosaic on the wall or place it on the shelf or window ledge, then you need to find a functional one - a piece of art that you use every day. 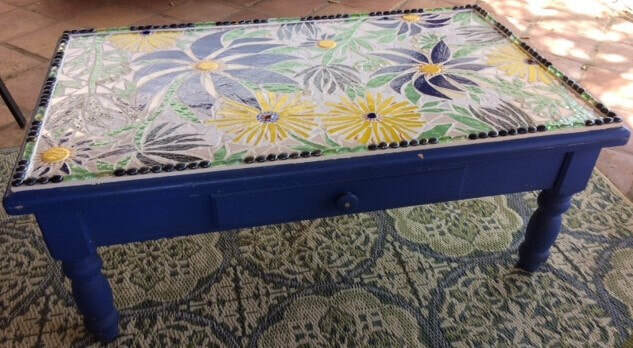 Don't be afraid to use the art: Tables, vases, trivets, stepping stones, wine cabinets, even soap dishes! Having a function is a great way to justify buying art, right? 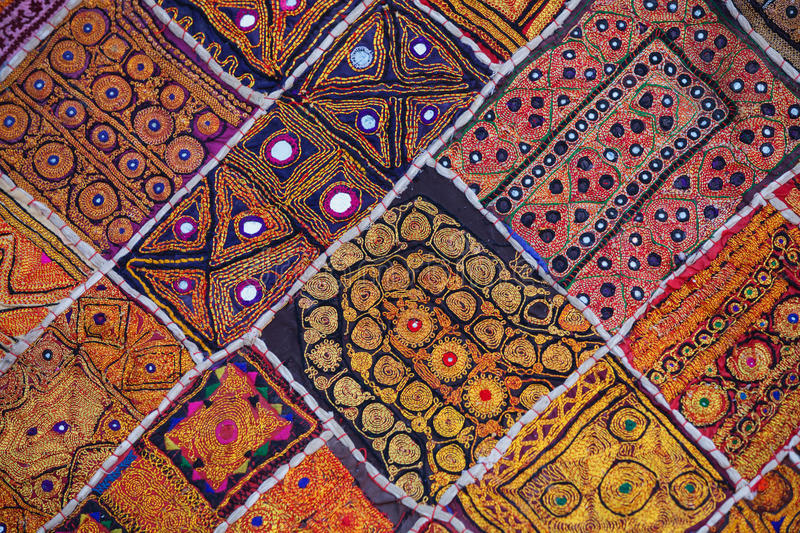 These are mosaic works that do not hang on the wall like traditional two-dimensional visual art. 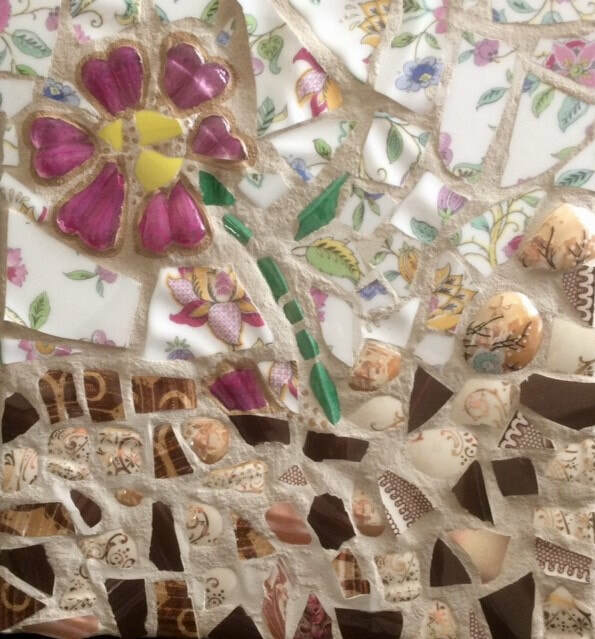 They are mosaics in all shapes and forms, simply for the enjoyment of looking at them. I teach a lot of classes - a LOT of them. 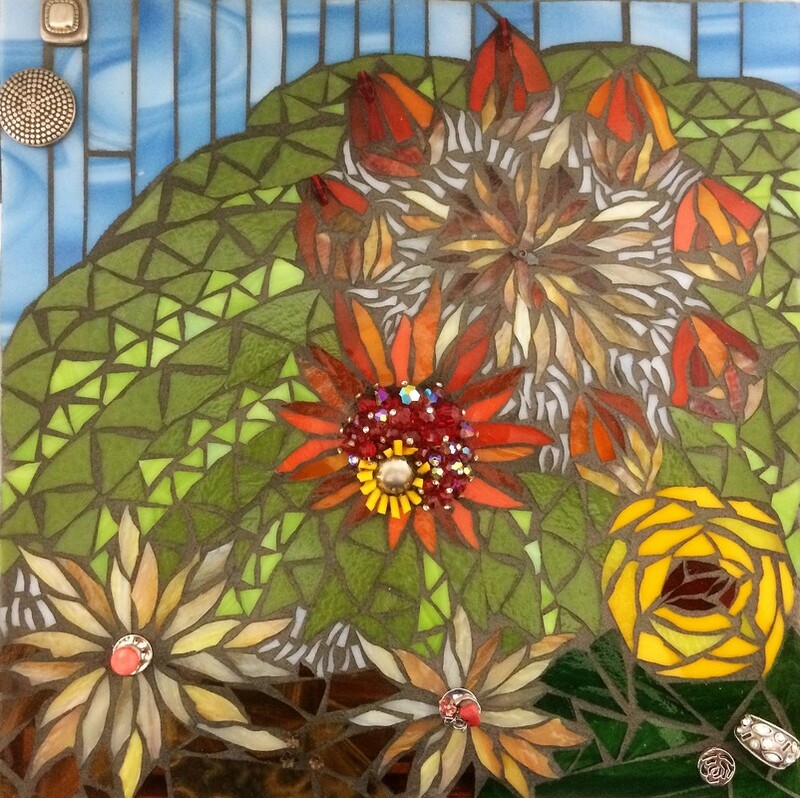 And so, I have created many smaller mosaics in all of the different styles. 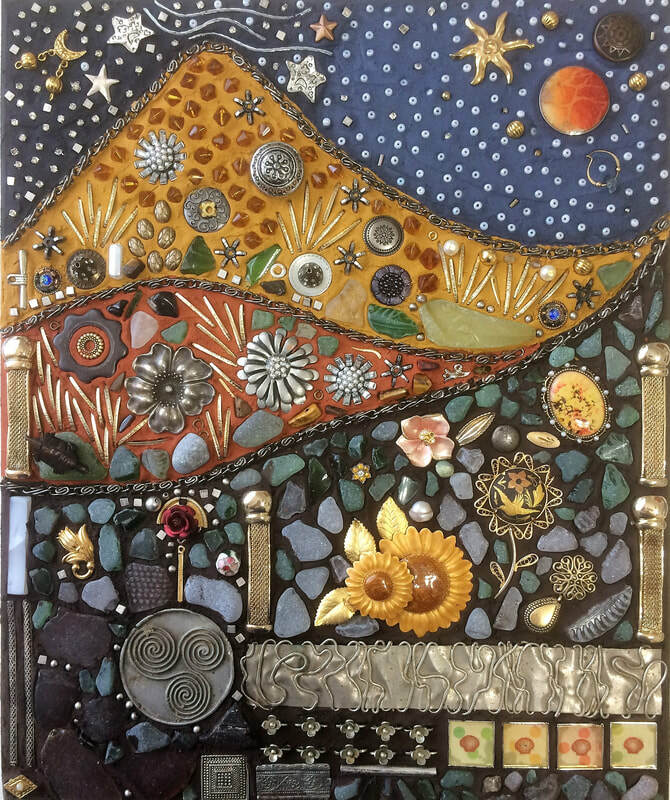 If you would like to buy one of my mosaics, these are a great way to start - small and inexpensive.